I went to breakfast one morning with a hydrologist known for his work with landowners marketing their groundwater. While we waited for our food, I laid out the reason I’d gotten in touch with him—how I wanted to tell the story of the interconnection of our waters under the ground with the water above it, so that Texans could figure out how to sustain both. Our food arrived. He sat patiently and without expression as I continued, both of our plates untouched and steaming. And when I had finished, he silently picked up a pen and began to write out four points. The first, in block letters, was this: groundwater is private property. In Texas, he said, to make the point clear, “the landowner owns everything on his property, from hell all the way to heaven.” That includes the groundwater. What I learned that day is this: in Texas, no conversation about groundwater has begun until you’ve acknowledged it to be the property of the landowner. Before that, you’re just wasting a perfectly good breakfast. With his help, I found myself a few months later standing in a rice field in West Texas. This was both an experimental crop and a political demonstration by Jeff Williams, whose family controls more groundwater than any other private entity in the State of Texas. Jeff's dad, Clayton Williams, Jr., has been consolidating land and leasing groundwater rights in the Belding Draw since the 1970s, when farms across West Texas buckled as the price of natural gas soared and cotton slumped. Belding Draw, as Jeff explains it, is where the "big water" is, a natural bathtub where runoff from the Glass Mountains backs up against the chalky buttes along I-10. Today, Williams holds permits for nearly 50,000 acre-feet of water in the Edwards-Trinity aquifer. That's enough to pump about 35 million gallons of water a day during growing season and still leave room to spare—about a third of a winter's day of water consumption in the city of Austin. I found myself a few months later standing in a rice field in West Texas. Jeff, who returned to West Texas a few years ago to oversee the Williams Farms, is a data-driven farmer. After years of operating at a net loss, subsidized by the Williams family's oil and gas business, the farm is now turning a profit. 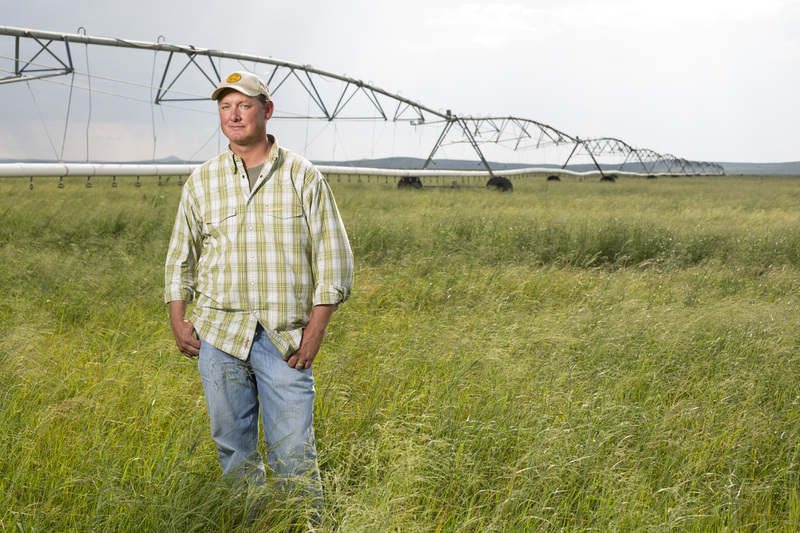 Jeff rebalances its portfolio each year, replacing winter wheat with timothy hay to supply Florida horse farms and alfalfa with Teff grass for export to Ethiopian markets in the states. What gets grown on the farm changes with the prices in the commodity markets. But the biggest commodity on Williams Farms, without question, is the water. Jeff explained his dad's long play as he drove us past fields of Pima cotton: "The last 30 years he’s been buying this farmland and adding onto it whenever the farms became available, because he knew that at some point the water was going to become a very valuable commodity. It’s one of the reasons that he continued the farming even though he was losing quite a bit of money on most years, to keep the water and the water right because he was afraid that if he didn’t use the water, at some point they’d take it away." In 2009, Williams filed an application with the local groundwater district to export his water across county lines in anticipation of a deal with Midland-Odessa, whose surface reservoirs are no longer as reliable as they were once thought. The export permit was denied by the Middle Pecos Groundwater Conservation District, which regulates the portion of the Edwards-Trinity Aquifer below the Williams Farms. As his father pursues a lawsuit against the district, Jeff has undertaken his own form of protest. On a corner of the Williams Farms lined by neat rows of tens of thousands of pecan trees on a neighboring property, Jeff showed us a small plot of his latest crop—rice: "I thought it would be interesting to show I could grow rice in the Chihuahuan Desert, but I can’t sell water to people who really need it." 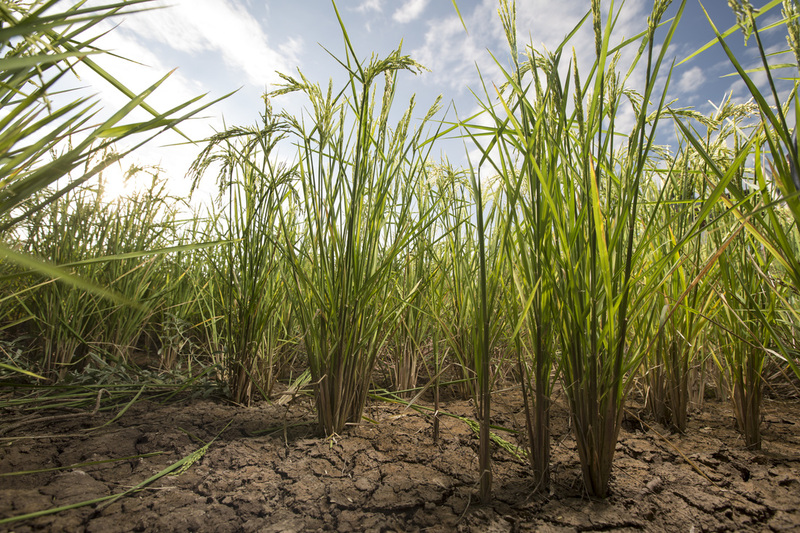 Rice is an extremely water-intensive crop, even compared to pecans and alfalfa, requiring around 3 to 4 times as much water per acre. Whether Williams' plan to export water instead of crops will pan out will depend on what the courts have to say. It’s not the first time the family has fought for water; Williams is a well-known name in the world of Texas water law, thanks to the lawsuit that secured pumping on Williams Farms more than 60 years ago. Williams, Sr. had been trained to read the land for oil, but in the Belding Draw he read something else in it: water. Jeff's grandfather, Clayton Williams, Sr., came to Fort Stockton as an oil geologist, one of the many who swelled West Texas’ population after the Yates play in nearby Iraan proved this marginally useful land could make millionaires. He had been trained to read the land for oil, but in the Belding Draw he read something else in it: water. Many of the area’s earlier settlers had claimed their stake just east of the Belding Draw in what had become the heart of Fort Stockton, lured by a desert wetland called Comanche Springs. 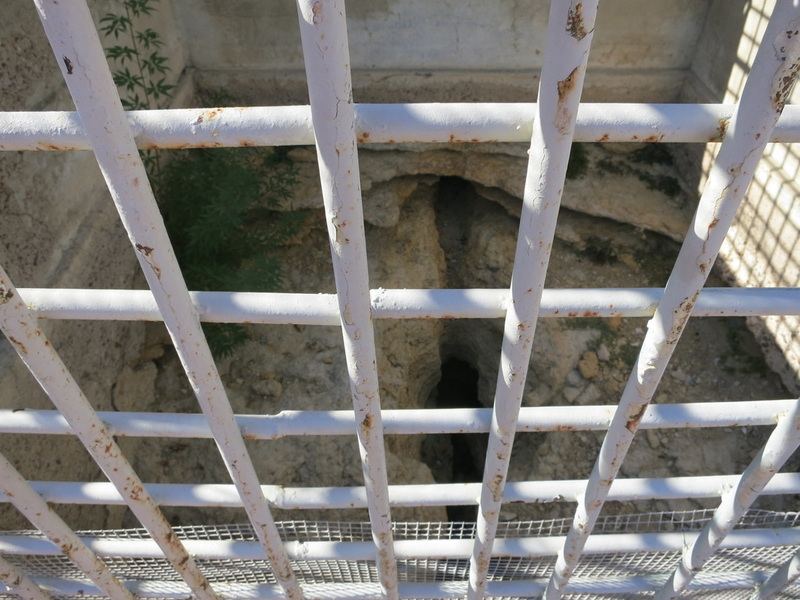 It was one of the biggest springs in West Texas, and the 8th largest in Texas, a little smaller than Austin’s Barton Springs. Where the water came from, no one knew for sure. But the springs had been reliable enough to establish a military fort in Fort Stockton, and had been there for some time before that. They had been there when de Vaca marched across this Spanish territory, and before that, when the Comanches came, and the generations of tribes before them. Well before the Permian Basin drew immigrants with its oil, people had come to Fort Stockton for its water. Among them was Bill Moody’s father. 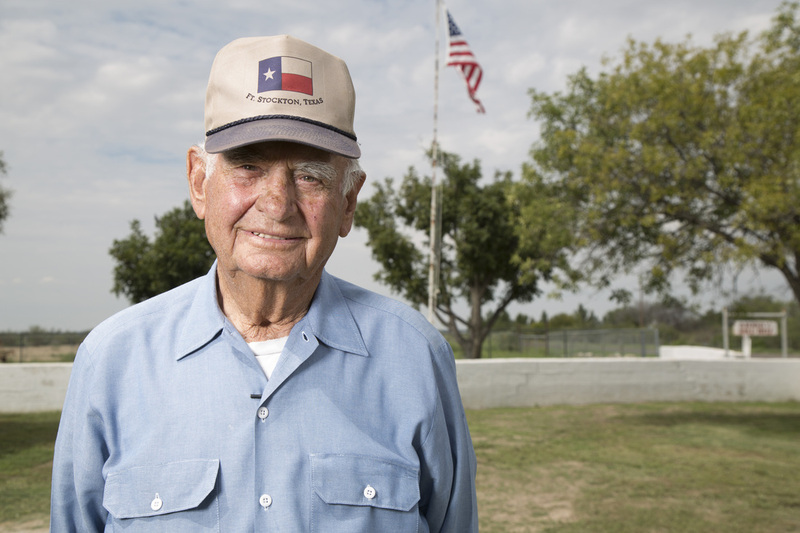 At 93, Bill Moody is one of few people left who remembers the water that once made Fort Stockton the Spring City of Texas. When his dad came to Fort Stockton around 1910, he could not believe his eyes when he saw Comanche Springs. True, the locals said it flowed year round, but it wouldn’t do to send for the family until he could be sure for himself. So he set up camp, staying next to the springs for 3 days to make sure what he saw could be believed: in the middle of the desert, Comanche Springs delivered 30 million gallons of water, each day, every day. Comanche Springs watered the crops, but it also ministered to the soul. 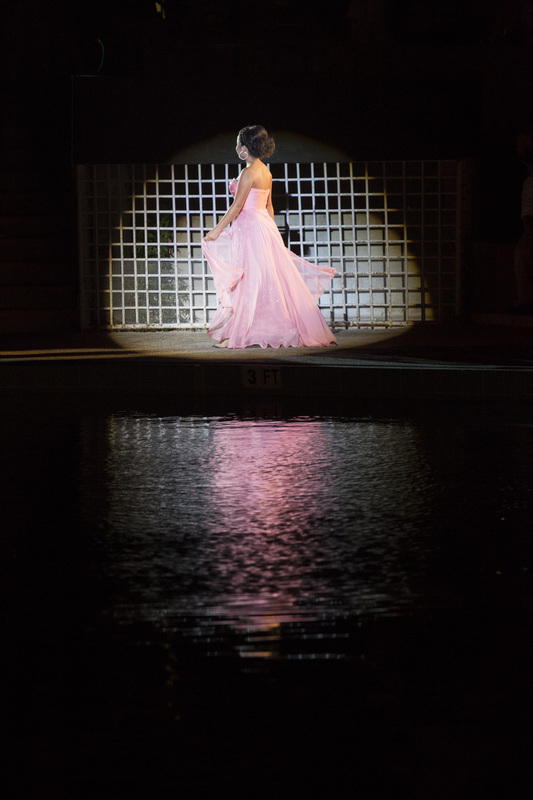 People from across West Texas turned out every third week in July for the Fort Stockton Water Carnival to see its bathing beauties, high diving acrobatics and synchronized swimming routines. A stone bathhouse fitting of such acclaim was built in 1938 by Mexican-American masons “who wanted to just work,” says Moody. “Mister Beverly was in charge and if he didn’t like the rock, he sent it back.” He pointed approvingly at the stonework, “Can you see them? They are finished, aren’t they?” At that time the bathhouse was for whites only, and Moody’s teenage nights were spent shoving money into the bathhouse nickelodeon and learning to dance above the waters of Comanche Springs. When the music shut off, he would skinny dip, riding the waters home through the irrigation canal that ran from the springs to the Moody house. Years later, when he became County Commissioner, he had the county beautify the irrigation canals radiating from the springs to the edges of town. "I was awful proud. I was Commissioner for 30 years and we did a lot of rock work, you can see it. It wasn't there when I came in," he said, looking at the now dry ditch, "but I thought it was gonna last forever." He laughed bitterly. "The rocks will, but not the water!" As it turns out, the water didn't last long at all. By the time of integration, Comanche Springs was already gone. Just after the end of World War II, farming in West Texas was picking up steam. The region had been known since the turn of the century for its cantaloupes, and its farms had churned out tons of alfalfa each year to supplement the poor grazing lands of the Trans-Pecos. But pre-war, those farms were limited in their productivity by one thing: water. The old windmill technology could raise a few thousand gallons of water a day; the centrifugal pumps that came to market after the war could lift that same volume of water out of the West Texas soil in a single minute. Some of the biggest of those pumps were owned by Clayton Williams, Sr. The first signs of trouble came in 1950, when Comanche Springs began to sputter. New wells with the centrifugal pump technology had been drilled recently across the Belding Draw. In August of the following year, two new wells drilled even deeper into the aquifer by the Williams Farms went to work, and the springs dropped further. The mystery of where the water in Comanche Springs came from was solved: clearly, it came from the land west of town. That included the Belding Draw, where, thanks to that chance meeting with destiny eons ago, the water was deep and accommodating of new pumps. By the time the Big Spring Herald ran the headline “Commanche Springs Cease Its Flow,” the fight between farmers downstream of the springs and those pumping the groundwater above them had begun. No water in Comanche Springs meant no water in Comanche Creek or its irrigation canals, and in a place that gets only 15 inches of rain a year (about the same as Los Angeles) that’s the end of farming. 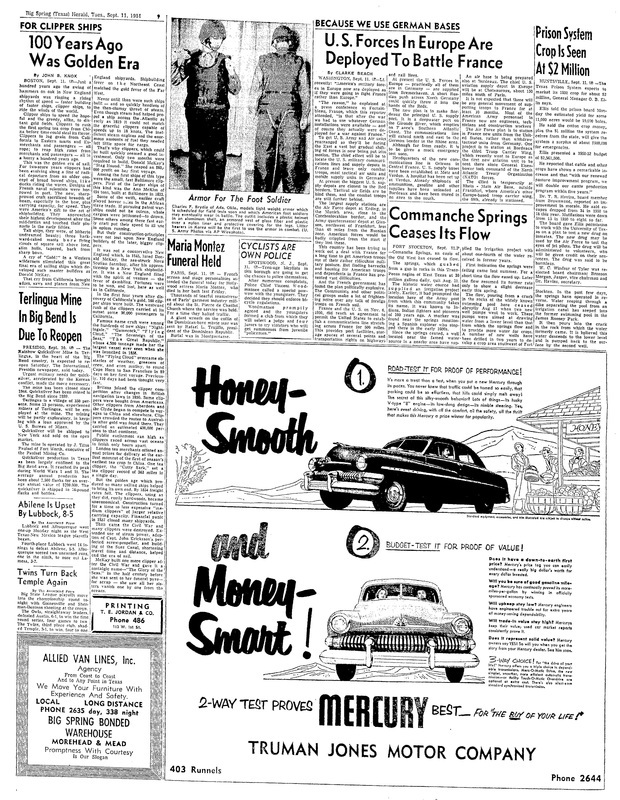 The lawsuit filed on behalf of Bill Moody’s dad and other farmers on Comanche Creek, Middle Pecos Irrigation District v. Williams, went all the way to the Texas Court of Appeals, which in 1956 affirmed that the downstream farmers had no recourse to keep Williams and his neighbors from pumping the springs dry. The reason why, the court said, was the Rule of Capture, which protects landowners from liability if the use of the groundwater beneath their property dries up their neighbors’ wells or streams. Only a few years before, the Texas Legislature had passed the Texas Groundwater District Act, which for the first time allowed local governments to voluntarily regulate groundwater. But when the springs began to run dry, no groundwater district had yet been formed in Fort Stockton. In the absence of regulation, the Rule of Capture reigned. Comanche Springs hasn’t flowed reliably since the 1960s. For a few decades, the old springs would still gurgle awake for a month or two in the winter, when irrigation on the Williams Farms and its neighbors went fallow. Now thanks to rising temperatures and a lengthening growing season, the Williams Farms are able to produce a winter harvest, and the wintertime flows have ceased as well. Two generations have passed since the battle over Fort Stockton’s water was decided. Comanche Springs became a relic of Fort Stockton history, a character from an era never to return, like the Comanches themselves. Though on the occasion when a monsoon hits, the ghost of Comanche Springs will visit long enough to pour a few million gallons through the abandoned irrigation canals. What really hampers groundwater management is the established alternative, the common law rule of capture, which entitles a landowner to withdraw an unlimited amount of groundwater for any purpose other than willful waste or malice, and as long as he is not negligent in causing subsidence of nearby property. When this Court adopted the rule of capture as a common-law rule ninety-five years ago in Houston & Texas Central Railway Co. v. East, we believed it to have been adopted in England and by the court of last resort in every state in this country except New Hampshire. Thirty-five years later only eleven of the eighteen western states still followed the rule of capture; after two more decades, only three western states still followed the rule. Now there is but one lone holdout: Texas.” –Excerpt of Justices Nathan Hecht and Harriet O’Neill’s concurrence in Sipriano v. Great Spring Waters of America, Inc., 1 S.W.3d 75, 80-83 (Tex. 1999). The Rule of Capture still reigns in a surprising extent of the state. Where no substantial groundwater resources exist, the choice not to form groundwater districts isn’t surprising. Yet strangely, some of the territories still ruled by it are regions of tremendous hydrological importance to the state, regions like Val Verde County, whose groundwater produces a third of all flow in the Lower Rio Grande. In those so-called "white areas" where no groundwater district has been formed, or where—by some quirk of fate or design—a district has no authority to regulate an aquifer within its borders, there are few obstacles facing anyone who would recover all the groundwater they could pump, to the detriment of everyone else. Though the number of groundwater districts has doubled over the past 15 years, large portions of the state remain free of regulation. In these "white areas," the Rule of Capture hangs on. “It is revolting to have no better reason for a rule of law than that so it was laid down in the time of Henry IV. It is still more revolting if the grounds upon which it was laid down have vanished long since, and the rule simply persists from blind imitation of the past.” --Texas Supreme Court Justices Hecht and O'Neill in Sipriano v. Great Spring Waters of America, Inc. There was a moment in time when the State Supreme Court considered doing away with the Rule of Capture. “In the past several decades it has become clear, if it was not before,” wrote Justice Craig Enoch in the Court’s unanimous opinion in Sipriano v. Great Spring Waters, “that it is not regulation that threatens progress, but the lack of it.” As evidence of the effectiveness and necessity of regulation, the Court pointed to the oil and gas industry, where well spacing and pumping are closely regulated by the state to protect the economic productivity of Texas’ oil and gas reservoirs. The concurring opinion of his fellow justices continued, speaking of the Rule of Capture: “It is revolting to have no better reason for a rule of law than that so it was laid down in the time of Henry IV. It is still more revolting if the grounds upon which it was laid down have vanished long since, and the rule simply persists from blind imitation of the past.” –Excerpt of Justices Nathan Hecht and Harriet O’Neill’s concurrence in Sipriano v. Great Spring Waters of America, Inc., 1 S.W.3d 75, 80-83 (Tex. 1999). Texans are still awaiting their Legislature to discover this genius of the common law. Although the number of groundwater districts have nearly doubled since 1999, prolific stores of unregulated groundwater await the pump. In late 2014, landowners in Hays County were blindsided by a deal struck between their neighbors and Houston-based Electro Purification, a company that had leased groundwater production rights from an unregulated portion of the Trinity Aquifer in Central Texas. Electro Purification, which has carved its niche by pursuing groundwater in unregulated areas, holds leases entitling it to pump 5 million gallons a day for export to fast-growing bedroom communities between Austin and San Marcos. Landowners in the surrounding vicinity filed for injunction, arguing--among other things--that the Rule of Capture is unconstitutional. "The time has come for the Court to recognize that the rule of capture, already bearing the weight of later added exceptions, is no longer valid," argued the Trinity Edwards Springs Protection Association (TESPA). (source) In 1917, the plaintiffs continued, the people of the state approved the Conservation Amendment to the Texas Constitution, declaring "the preservation and conservation of all such natural resources of the State" to be "public rights and duties." Therefore, their argument concluded, "the 1904 common law rule of capture is inconsistent with the later adopted constitutional amendment and laws of this state." How TESPA's claim that the Rule of Capture is no longer common law would have fared in the courts will have to await a future legal challenge. After months of legislative maneuvering, the unregulated portion of the Trinity Aquifer in question was placed under the jurisdiction of the Barton Springs/Edwards Aquifer Groundwater Conservation District, and TESPA dropped its case. The Fort Stockton Water Carnival is still held every third weekend in July at Comanche Springs. Today the synchronized swimmers perform in a pool whose stilts are sunk into the old spring bed. People hardly notice the caged hole in the ground as contestants for Miss Fort Stockton parade past. When the organizers of the 2014 Water Carnival chose "Same Time, Same Place" as their theme, they meant to celebrate the annual tradition that draws the children of Fort Stockton back each summer. But the words seem also to capture nearly 80 years of another tradition less worthy of celebration: the interests of the few trumping the good of the many. What condemns the Spring City of Texas to remain a relic of the past is not the law of the land, but the will of the people. To place the blame only on groundwater owners like Williams misses the point entirely. The people of Pecos County had the right to regulate groundwater pumping before Comanche Springs ever went dry, yet they waited until 1999 to create a district--more than 50 years. When they finally did regulate groundwater, the loudest voices in setting the rules were the county's largest landowners, who won the right to pump as much water as they had always used. In effect, groundwater regulation in Pecos County has done little more than to enshrine the damage done under the Rule of Capture—the drawdown of the water table and the eradication of reliable surface water. Maybe once something is lost for a generation, it’s as though it never existed. When old Bill Moody looks at the dry irrigation ditches and the caged hole, he can feel the water floating him back home one summer night 70 years ago. But for those who were too young to remember Comanche Springs, this place has never changed--the Water Carnival has always been held in a chlorinated pool. The ditches have always been dry. The pecan and cotton farmers west of town have always owned the water. As the collective memory of what Comanche Springs once was fades, it is easier to believe what one of the 2014 Water Carnival organizers told me: "That's Comanche Springs. It just really brings friends together." When groundwater resources begin to fail, is it too late to act? The answer may be found at Comanche Springs, where the water that many assume to be lost forever lies hidden only a few dozen feet below the spring outlet. The Pecos County Groundwater Conservation District could, under the Texas Water Code, change its rules to allow groundwater users only as much water as the aquifer can produce while still keeping Comanche Springs flowing. The law, after all, entitles a landowner "to drill for and produce the groundwater below the surface of real property." It does not entitle a landowner "to the right to capture a specific amount of groundwater below the surface of that landowner's land" (source). Among Pecos County's leadership, a few have toyed with the idea of resuscitating Comanche Springs. One former mayor proposed that the big pumpers, including Williams, Jr., reduce their pumping by 20% in the hopes that it could make the springs flow again. Neither idea went very far--groundwater owners were about as willing to voluntarily reduce their production as the county was to let Williams export 16 billion gallons of water a year to Midland-Odessa. Outrage at Williams’ intention to sell his water across county lines has eclipsed any discussion of whether Comanche Springs might be restored artificially or by any other means. Over the years, the Senior and Junior Clayton Williams have morphed into a single, iconic villain in the eyes of those who know the story of Comanche Springs. The father who defended his right to pump Comanche Springs dry was a different man than the son who has doggedly pursued the commercialization of his family’s water. The father laid the foundation for his family’s oil and water empire; the son has lived to see the first come to fruition, and is intent on making the second his legacy. Partly because of his willingness to spark public controversy, it is easy to forget that Clayton Williams, Jr. is just one of thousands of Texas landowners who view groundwater as property first. That groundwater is a common resource, shared by millions, is incidental in the eyes of many whose land holdings entitle them to what lies beneath it. In one of the recent decisions buoying Jeff’s hopes for a court victory, Edwards Aquifer Authority vs. Burrell Day and Joel McDaniel, the Texas Supreme Court established for the first time that groundwater, like oil and gas, is the property of the landowner before it is pumped, not only once it has been captured. In other words, recognizing groundwater as private property does not prevent us from limiting its production—as long as we are willing to pay. Paying to keep groundwater in the ground is the last thing on the minds of most Texans who are not fortunate enough to be among the small percentage of Texas' large landowners. The idea itself is noxious to those who view water as a public good. But a century of lawmaking and case law may give us little choice. After all, under the system that three generations of Texans have designed, we have the right to regulate, but the regulated have the right to be compensated. The question, then, is not whether we may have to pay landowners to provide the state's water, but how we can afford it. When a groundwater district is found to have taken the private property of the groundwater owners it regulates, it is the taxpayers and groundwater users within the district who pay the compensation. Under the present system, the people who would pay for groundwater owners like the Williams family to reduce their pumping are the everyday people of Pecos County, many of whom earn less than the average Texan. This intractable economic condition persists thanks to the calcified belief that water is always a local issue best left to locals. Yet the idea that those who should pay for groundwater regulation are only those who live over the aquifer being regulated has as much of a rightful place in the 21st Century as the Rule of Capture. Groundwater is a subterranean fugitive element: it moves. Before Comanche Springs ran dry, the creek it formed ran out in the salty soil of the Trans-Pecos desert. Some of that water reabsorbed by the earth flowed out again into the springs of the Pecos River, which itself flowed into the Rio Grande. Water does not honor the arbitrary lines of political jurisdictions or tax appraisal districts. If we insist that the way we pay for water regulation stay within those arbitrary lines, we are likely to find ourselves as high and dry as the people of Fort Stockton.